SuperyachtNews is the superyacht industry's first mobile and tablet app delivering the latest news, analysis and opinion from The Superyacht Group's entire portfolio to your mobile device. 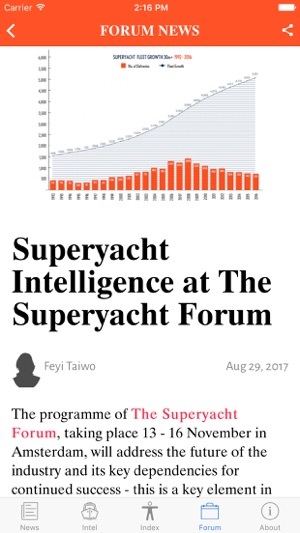 Access real-time news stories, commentary and market intelligence from SuperyachtNews.com, delivered direct to your device. There is a Top Stories category, which delivers the most important news of the hour, while an innovative push notification feature, alerts you to breaking news as it happens. The Superyacht Group prides itself on delivering the most meticulously researched, and professionally sourced news content, and is the leader in this field. This app is a totally unique way for individuals in the superyacht industry to consume what you want, whenever you want. 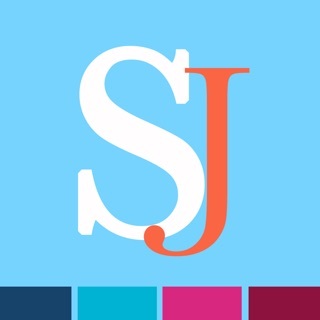 And if you want the industry’s most reliable journalism delivered direct to your device download this app. Because accurate information helps the industry make the right business decisions. Update information for The Superyacht Forum. 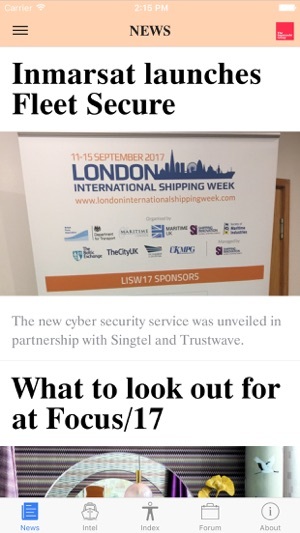 As an industry professional, Superyacht news has been my go to source for information on the industry. Using this app has really given me easy access to the top stories in an organised and convenient fashion. Bravo!! 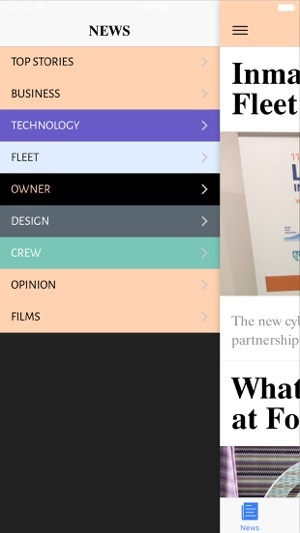 This app is the next step in the way superyacht news is relaid to the industry. 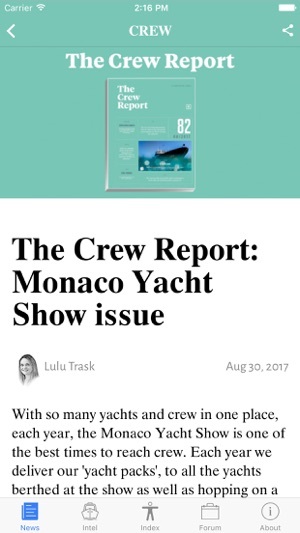 The clean and concise way stories are presented is perfect for mobile devices and it is a unique offering within the superyacht industry. A very simple way to keep up to date with all the news in the industry. Uncomplicated, and easy to use, it does what it says on the tin! love it.